Did he really quit because of Valanka? Many believe that the Congress has really been indulgent to Churchill in the past, giving him a chance at family raj for the 2012 assembly polls, making him and Joaquim ministers on several occasions, letting him continue his revolving door tactic with the party. But the riot act has now been read. 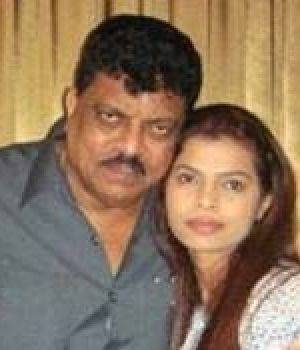 Former PWD minister Churchill Alemao’s move in exiting the Congress for the nth time (he says twice, in 1990 and 2007, both because of AICC general secretary Luizinho Faleiro) is going to jeopardize his daughter, Valanka’s presence in the Congress. The irony is that he claims he quit because she was not considered for the Lok Sabha ticket from south Goa. Valanka is the youth Congress president which is incidentally the one moment of glory that the Alemao family could cherish in the last three years since her father, uncle (Joaquim) and cousin (Yuri) were sent packing by the Goa electorate three years ago. While her father was raining down fire and brimstone in the last week after Reginaldo Lourenco was picked to be South Goa’s candidate after erasing the 68-year-old Francisco Sardinha, the sitting MP, Valanka chose to be unavailable. However, she was summoned by the Congress leadership in Delhi. While the Churchill camp has spun her visit as having carried a message from her father about standing as an independent, one wonders whether she was leaned upon to make “dada” fall in line. She is believed to have had many political disagreements with her father, particularly after both lost in the assembly elections, so is this going to be their latest point of divergence? Churchill could not make the allegation that he took Rs. 50 crore (50,00,00,000) from Chief Minister Manohar Parrikar to stand as an independent, so he could split the secular votes and benefit the BJP, go away. All his protestations came to nought, and the low point was when John Fernandes, instead of defending him and becoming outraged, grinned when a mediaperson questioned Churchill whether he had taken the money. Churchill could not convince anyone that he did not take the bait in return for Parrikar making the PWD scam go away. "I dare the chief minister or any other person to put me behind bars. They cannot blackmail me on the PWD scam. I have done nothing wrong", he said, but there seemed to be no takers. Many believe that the Congress has really been indulgent to Churchill in the past, giving him a chance at family raj for the 2012 assembly polls, making him and Joaquim ministers on several occasions, letting him continue his revolving door tactic with the party. But no more they say. The riot act has been read. A resolution which will be adopted at its next executive committee meeting, will be that no leaders who quit the party and try to join back after elections will be allowed to do so. Of course, the high command would not have been so tough had it not gleaned that Churchill's clout has diminished. But will he still remain a threat? The popular opinion is that for the first time, the Congress has picked the right man in Lourenco 'young, vocal, articulate and the right mouthpiece of the party. The fit seems to be right. Also, it seems the public has approved the choice. He seems to also fit the church's profile that a secular person be supported to stem the NaMo hype. So the electorate might be put off by a war horse whose petulance is provoking the splitting of secular votes. And once more it seems poised to tell Churchill where to get off. Churchill's argument while giving his resignation to GPCC president, John Fernandes, on Saturday, was "You should have given the ticket to her. She is a youth and also president of youth Congress and a woman," he said. All attributes that would make Valanka a claimant. But still she did not get the ticket and what's worse her cousin, Yuri, an aspirant from the Nationalist Congress Party did not either. In fact, the Congress prodded the NCP into giving up its claims in Goa in exchange for Prashant Despande, 36, who is the younger son of Karnataka tourism minister RV Deshpande, getting a ticket in Karnataka (Uttara Kannada). "Prashant happens to be NCP leader Praful Patel's son-in-law (he married Avni Patel in 2006). Does that make Praful Patel more powerful than Churchill? Duh! Valanka is believed to be a lawyer. So is Prashant except he has a degree from Bangalore's National School and from Harvard. Talking of Harvard, P Chidambaram, a Harvard alumnus aeons ago, opted out of what many believe is a losing race and propped up son Karti from Sivaganga. In 2009, many believe Chidambaram lost (the AIADMK candidate has filed a petition against Chidambaram which is still pending) but the DMK 'helped' him win. With no alliance for the first time for the Congress, Tamil Nadu is going to see some bruising. For the first time since it was formed in 1999, that the NCP has decided not to contest the Lok Sabha elections in Goa. Again goes to show that Goa with its two seats in the Lok Sabha is no match for playing with the big boys. So another first is that Congress is fielding two candidates - Ravi Naik (North Goa) and Lourenco (South Goa). Did Ravi Naik's caste (Bhandari Samaj) matter more than the perception that under his watch Goa became a drug den, that his son was involved and policemen were virtually drug dealers? Perhaps the only point to note is that the Election Commission has upped the candidate's expenditure from Rs. 22,00,000 to Rs. 54,00,000. Is AAP, the B-team of the BJP? For all the hype over Arvind Kejriwal, his two candidates -Swati Kerkar from South Goa and Dattaram Desai for the North Goa seats - appear to be the BJP's B-team. Both have not hidden their RSS affiliations and were even aspirants for BJP tickets in 2012. So much for the alternative.